Prevention is better than cure”. 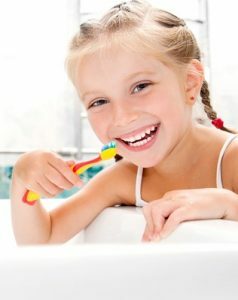 Statistics from the Australian Government in 2009 stated that 42% of 5-year-olds had some form of tooth decay, which increased to 62% by the age of 9 years, up to the age of 14 years of age 58% of Australian children had permanent damage to their teeth. These stats are very alarming and increasing every year. 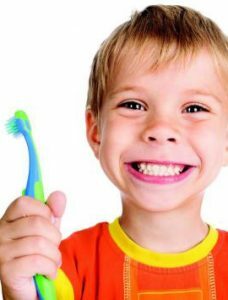 We believe that children should be able to identify what causes tooth decay and how to prevent it from an early age. In our oral health school incursions we focus on what teeth do, how they grow, how to look after them and what causes tooth decay such as processed foods with high refined carbohydrates in them such as sugar and white flour products. Our oral health school incursions are designed and run by a Qualified Dental Nurse and Registered Nutritionists. Getting both professions involved in these workshops ensures we covered the basic of dental hygiene and also educate the children about how food and nutrition influences our oral health. We pride ourselves on how interactive and engaging our schools incursions are and our educators have children of their own and are amazing at created new sustainable behaviours with little ones. Our evaluation data collected shows promising results that our workshops change children’s attitudes towards food and dental hygiene. The Health Smiles oral health school incursions (1hour) introduces children to what their teeth do, the anatomy and how to look after them by cleaning and choosing tooth friendly drinks and foods. The No Added Sugar Oral Health School Incursions (1hour) is a very popular with schools that are trying to reduce their total sugar intake. In this school incursion we follow a case study through the stages of tooth decay, rotting and medical treatment and learn how this can be prevented by eating a balanced diet, that is low in added sugar. Be prepared for loads of visuals in this incursion! Helps pupils to identify which foods/drinks will cause tooth decay and which are good for our dental health. Educates pupils on how to take care of their teeth for the rest of their lives. Pupils will added up how much sugar the case study has consumed and talk about how to reduce their daily sugar intake.